It is amazing what we can accomplish in this country. When you visit the Kennedy Space Center this really hits home. Astronauts and everyone behind the scenes really are heroes. And boy are they super smart! 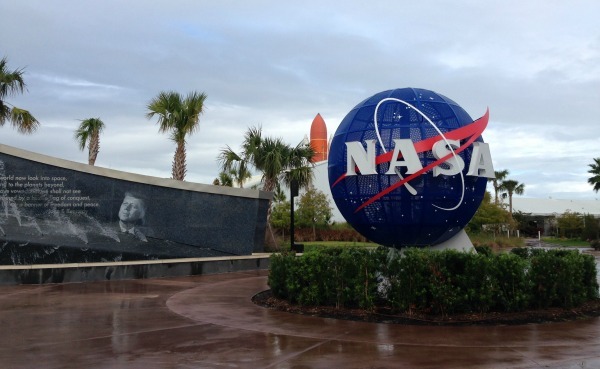 Directly from the website ~ Kennedy Space Center Visitor Complex is the only place in the world where you can walk under the largest rocket ever made, touch an actual moon rock, meet a veteran NASA astronaut, experience the International Space Station and stand face-to-face with Atlantis – all in the same day. Cape Canaveral is about a one hour drive from the Orlando area where we were staying. We debated back and forth whether we wanted to spend a day travelling there. My brother and I had been there many years before when we were kids and thought it would be a great trip for my boys so we decided to go. Very glad we did! P’Diddy loved seeing a real moon buggy because one of our favorite stories is about the Moon and they talk about them. C’Man couldn’t pass by the rocket simulator without seeing how he would do flying a ship. O’Bear could have stayed all day in the Angry Birds Space Encounter. Uncle thought the launch pads were the coolest. Yes the launch pads! We drove right next to them on our bus tour. My favorite part was Atlantis. 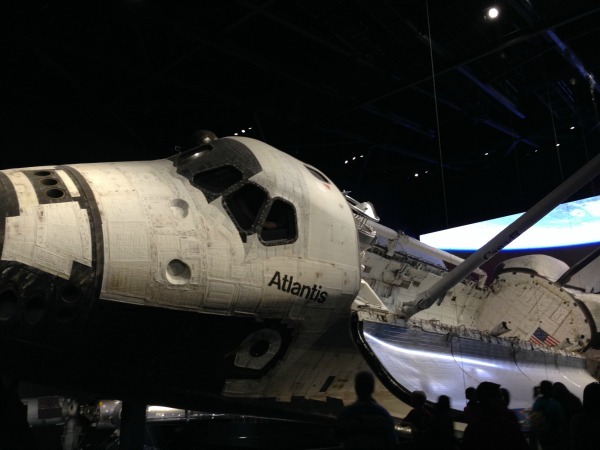 The real and actual Atlantic Space Shuttle. It was fantastic! We spent a ton of time in this building exploring and learning about this amazing machine. They retired these shuttles in 2011 if you remember. This doesn’t mean there will not no more space travel. In fact NASA just announced a couple of months ago 8 new astronaut trainees – 4 women and 4 men – who will be the first to fly in new spacecraft that is being developed and among the first ever human missions to an asteroid and on to Mars! 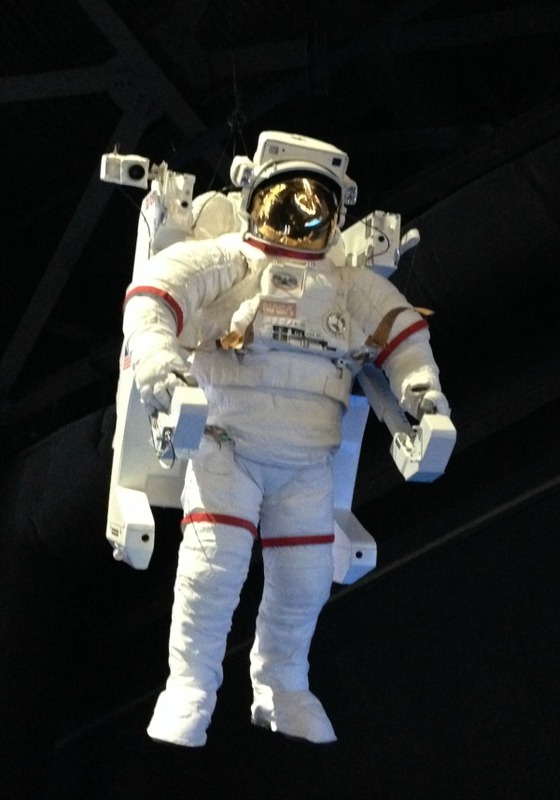 I highly encourage taking your family to Kennedy Space Center. It’s quite the adventure and the education! Wouldn’t it be fun to be an astronaut? 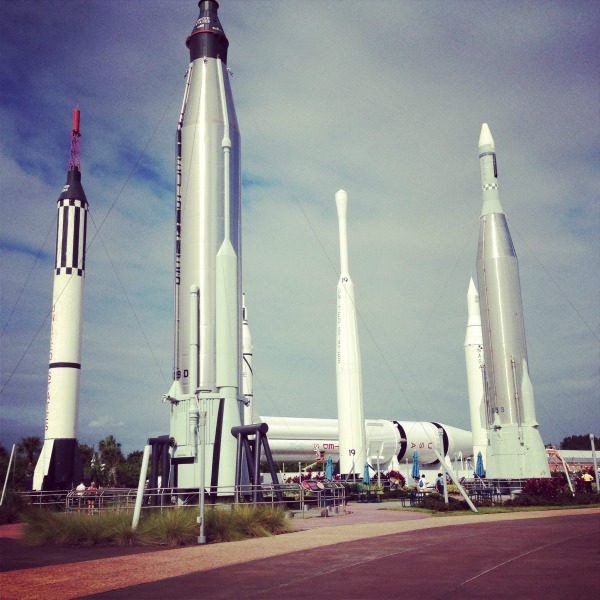 I partnered with the Kennedy Space Center on my trip. All opinions are my own. Mommy Event Spotlights ~ 6 products for mom! 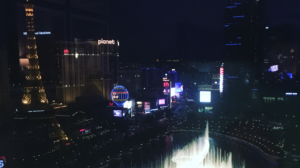 It's such a cool place. I used to want to be an astronaut. Seriously. But I hated math and I found out that you have to be good at math. lol. :) I would love to visit CC! !